The sports event of the weekend will be going into winter break, and to while away the time, we assembled a short list of interesting but little known games that have been brought to our attention over the last few months. The recommendations cover lots of different game genres, so there should be something for everyone. 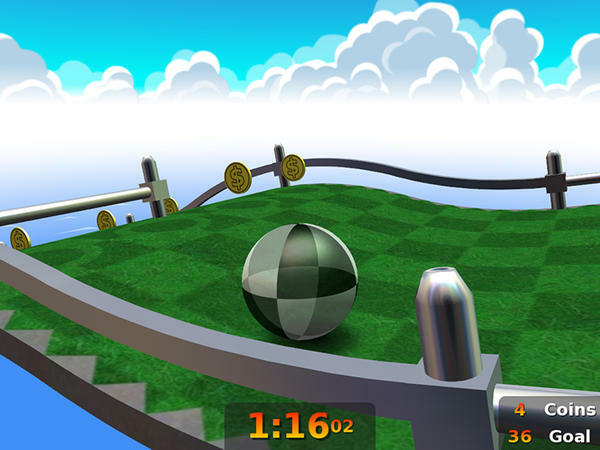 Dstroy is a small Bomberman clone where multiple players lay mines in a labyrinth with the object of blowing up opponents. A few bonus objects provide some variety. Xut is a game in the button football style popular in Brazil and works somewhat like Subbuteo: small plastic buttons represent the players. Snapping the buttons propels the ball. The Xut homepage shows a sample video. In Xut, you "kick" the ball by using the red plectron. 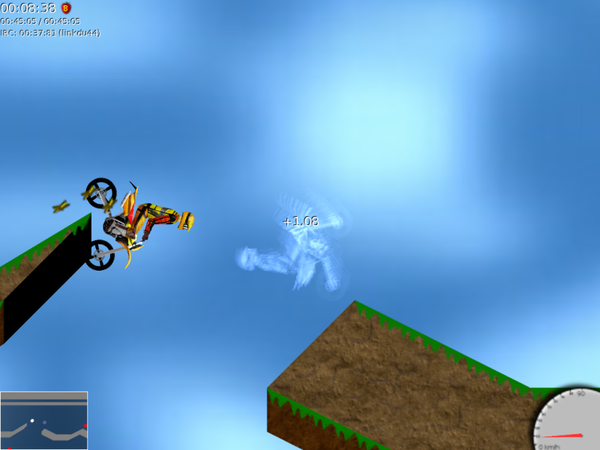 The idea is to drive the motorcycle over numerous obstacle-studded moguls to master as quickly as possible, although realistic physics is hard to reproduce. You can create your own course and make it available to others on the project homepage. In XMoto, the motorcycle goes over hill and dale. In Neverball, you tilt a labyrinth into one of many directions, which sets the ball that needs to find the exit into motion. Many chasms and fatal obstacles lurk along the way. Neverball has anything but a stationary ball. From the same makers as Neverball, except minigolf for multiple players. 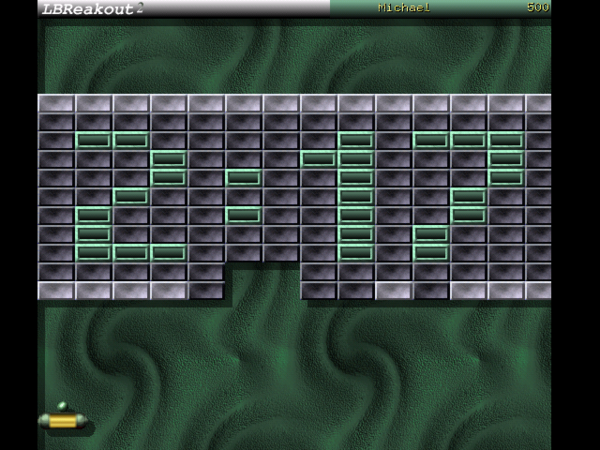 Like Breakout, you try to destroy a wall stone by stone, with over 50 more levels to conquer. In LBreakout2, the object is not to lose the ball out of bounds underneath the paddle. The Aviation flight simulator tries to bridge the gap between the realism yet complication of competitors such as Flight Simulator with their simple and uncomplicated counterparts. The current flight zone is 600 square kilometers of the Columbia River. 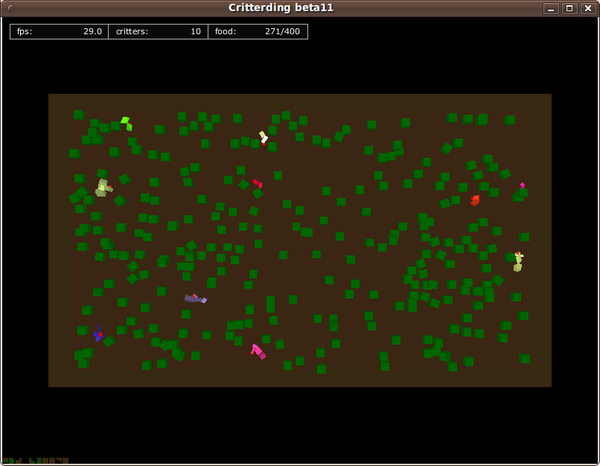 The playing field is one of synthetic life beings, or critters, that demonstrate survival skills. The design possibilities of the critters are still quite minimalist. The graphics in the ASCII realm are almost exclusively letters and special characters. The planetarium for local computers recognizes 600,000 stars by default, draws constellations for twelve different cultures and can be used in planetarium projectors. 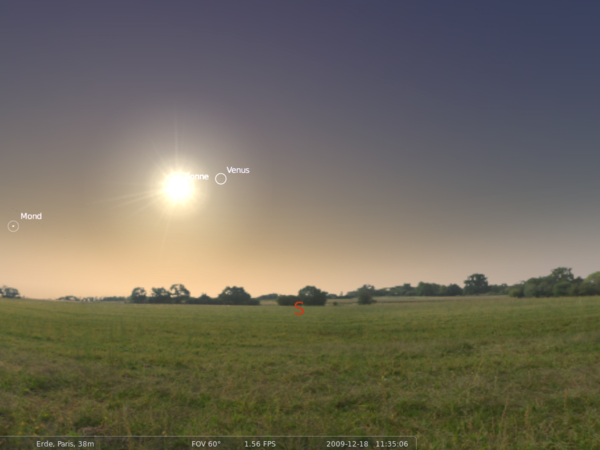 Stellarium shows the night and even day sky and orients itself to the local system time. I don't understand what the author means wtih "graphics in the ASCII realm" concerning Critterding. It's fully 3D yet textures seem totally absent. Looking at the framerate it was tested on an extremely slow pc, I seem to get 10 that framerate on a pc that is 3 years old. It contains FlightGear , Alice3D , DukeNukem3D, etc. It's a problem with understanding a website structure ? I didn't seen here any comments from the people. it's just located in a special place or nobody wire a comments ? anyway , i have to say, i'm reading it ) thanks for your job and happy holidays. btw captcha too hard, maybe it's a reason why people no comment. sorry my assumption.